Due to the upcoming holiday weekend, this year's Silver Quality Award notification date will be moved from Friday, June 30 to Thursday, July 6. Please update your calendars. The new date will ensure that our team has the resources to provide exceptional service and be responsive should you need assistance when you receive the notification. If you have any questions or concerns, feel free to contact us at qualityaward@ahca.org. The LTC Trend Tracker team wants to remind assisted living members of an important feature to help achieve all four NCAL Quality Initiative goals. Released in late 2016, LTC Trend Tracker features a dynamic dashboard that allow NCAL members to set community and organizational goals and track progress for each of the quality measures. As communities know, setting goals and tracking progress is an important part of improving quality. Let LTC Trend Tracker help you today! Visit ltctrendtracker.com to register and learn more. LTC Trend Tracker users can now download their latest Your Top-Line publication. Produced by LTC Trend Tracker, this AHCA/NCAL member resource highlights metrics and graphics outlining progress on Five-Star performance, the AHCA/NCAL Quality Initiative, and other necessary data to help achieve desired goals. Not sure if you received your tailored publication? An email notification was sent this week to all registered users from join.support@ltctrendtracker.com with the subject line “Trend Tracker Publication.” If it’s not in your inbox, be sure to check junk mail. Contact the support team at help@ltctrendtracker.com with any questions or need help. We hope you enjoy this valuable resource as it provides assistance on your quality care journey! November 28 marks the implementation of Phase 2 of the long-term care Requirements of Participation (RoP). This Phase will focus on priorities such as the Quality Assurance and Performance Improvement (QAPI) Plan, antibiotic stewardship, behavioral health services, and more. The new long-term care survey process will also go into effect nationally in November. In slides released recently here, the Centers for Medicare & Medicaid Services (CMS) provide centers more information about the new survey process, the interpretive guidance (IG) and related surveyor training. CMS is in the process of updating information for Appendices P and PP as final IGs are approved and anticipates it will release the final IGs for Phases 1 and 2 within the next 4-6 weeks. This will include the release of new F-tags tied to the new requirements. Beginning in July and continuing through the fall, the CMS Regional Office will make surveyor training materials, including webinar content, videos on IG topics, and access to new survey forms and other materials available to providers and the public. CMS anticipates releasing these materials in August, and plans to hold national provider calls, including opportunities for Q&A, this summer. AHCA will continue to share updates on the IGs and post CMS training materials as they become available. If you have any questions, please contact Sara Rudow at srudow@ahca.org. A JAMA article published this month outlines the journey from excessive use of antipsychotics in nursing homes to government efforts, such as CMS’s National Partnership to Improve Dementia Care in Nursing Homes, to nationwide improvement of over 30% in the last five years. A key component to this national success was alignment between the National Partnership and the AHCA/NCAL Quality Initiative in 2012 to address off-label antipsychotic use. Today, over 54% of member centers have achieved or surpassed the nationwide target to safely reduce the use of off-label antipsychotics by 30%. While more must be done, providers continue to improve. The latest data results show member progress in other priority areas including discharge back to the community and hospital readmissions. If you are a member, find out how your center is doing on LTC Trend Tracker, and see the latest member progress for all eight Quality Initiative goals here. NCAL’s Risk Management Work Group created a checklist for assisted living communities to be prepared in managing issues that may arise regarding resident sexual consent. Sexual consent for assisted living residents requires ensuring resident rights regarding confidentiality, the right to make independent choices, and the right to private unrestricted communications with others, which must be balanced with concerns about resident capacity to give consent. Different issues arise in various contexts, including two residents with capacity to give consent, one resident with capacity and one without capacity (or where capacity changes), between married and unmarried couples, and between staff and a resident. The checklist covers a range of topics, including considerations for: state requirements, ability to consent, employee awareness/training, appropriateness of the relationship, family, harassment/bullying, and special considerations for inappropriate relations between employee and resident. The Medicaid and CHIP Payment Access Commission (MACPAC) has released a report focused on quality measures for Home and Community-Based Services (HCBS) and Behavioral Health in Medicaid. The report was a comprehensive environmental scan and synthesis of quality measure activities states are participating in. Most quality measurement activity in HCBS was based on CMS reporting requirements with the 1915 (c) waivers and these measures were typically process-oriented. Additional HCBS measures focused on rebalancing long term services and supports. The report suggested measurement gaps could be addressed by aligning measure lists across federal initiatives and prioritizing development of new measures where there are gaps. Physician confidence in a RN’s competency is a critical factor when an RN is communicating with a physician who is deciding whether a resident should go to the hospital. Physicians recognize and respect the RN-BC credential. RNs who can conduct effective and knowledgeable assessments and inspire confidence during communications with physicians and can make a big difference in the physician’s decision as to whether a resident requires hospitalization or re-hospitalization. Get an edge in your local market. Check out AHCA/NCAL Gero Nurse Prep today. As you may have heard on the news recently, the U.S. government is aware of an international ransomware campaign that may be affecting health care and public health sector assets in addition to other sectors. This new ransomware attack was first observed yesterday, June 27, 2017. The impacted entities are mostly focused in the EU at this time but there are reports of a U.S. health care entity being impacted as well. Multiple sectors including financial, telecom, transportation, health care and energy have reported that their operations are impacted. The Office of the Assistant Secretary for Preparedness and Response (ASPR) was created under the Pandemic and All Hazards Preparedness Act in the wake of Hurricane Katrina to lead the nation in preventing, preparing for, and responding to the adverse health effects of public health emergencies and disasters. Click here for a summary of information ASPR sent out regarding the ransomware campaign that you might find helpful. In addition, the National Health Information-Sharing and Analysis Center has shared the following TLP-White Message and will continue to share information here. The Health Information Trust Alliance (HITRUST) has also shared the following Threat Bulletin. If you have any questions, please contact AHCA’s Dana Halvorson or Erin Prendergast. A full 87 percent of millennials -- those born between 1980 and 1996 -- say professional development and career growth are very important to them in a job, according to Gallup research. The CARES Dementia Specialist (C.D.S.) training curriculum is a perfect fit for meeting those professional development expectations. Assisted living and nursing facility staff can grow their skill sets and get recognized for successfully completing the entire HealthCare Interactive CARES online dementia care training curriculum (6 courses/32 modules) by earning the C.D.S. credential. By completing all training programs, submitting documentation, passing the required 100-point online exam, and being approved, staff members will be able to use the C.D.S. credential after their names, on resumes, or on business cards. They also will be placed on a national registry of people who earn and hold a current C.D.S. credential. The curriculum consists of 32 hours of online video-based person-centered dementia care education. Once activated, participants have 10-day access to each of the five professional caregiver courses and 30-day access to the CARES Dementia Care for Families program. AHCA/NCAL's Gero Nurse Prep is designed to prepare RNs to take the American Nurses Credentialing Center (ANCC) board certification exam in gerontological nursing. It also increases RNs’ knowledge of gerontological nursing practice. In fact, Gero Nurse Prep students see a whopping 23 percentage point increase on average on their pre- and post-test scores. That increased knowledge could be a big help to nursing facilities under Phase II of CMS’ Requirements of Participation, which takes effect in late November 2017. Under this phase, nursing facilities will be required to demonstrate that they have the staff competencies and skill sets necessary to provide the level and types of care to meet the individual needs of their resident population. Given that two out of three RNs in the United States have had no geriatric nursing training, AHCA/NCAL Gero Nurse Prep and ANCC Board Certification are great ways to demonstrate to surveyors this starting this fall that your RNs have the knowledge and skill sets necessary to meet your residents’ needs through specialized geriatric training and board certification. ANCC is the world’s largest and most prestigious nurse credentialing organization and a subsidiary of the American Nurses Association. Less than one percent of America’s RNs are board certified in gerontological nursing, which means having an ANCC Board certified RN can easily give providers an edge in the marketplace and demonstrate to survey teams that your facility has staff with strong geriatric nursing competencies. AHCA/NCAL’s Gero Nurse Prep program is outstanding in preparing RNs to pass the ANCC gerontological certification exam. RNs who complete the program have a passing rate of 96 percent on the ANCC exam and receive 30 CEUs. RNs who are interested can become board certified for less than $1,100 ($690 for AHCA/NCAL Gero Nurse Prep and a separate $395 to take the ANCC exam). Watch this video to learn more about AHCA/NCAL Gero Nurse Prep or click on the course preview to get a quick view of this engaging online curriculum designed to help RNs pass the ANCC exam. 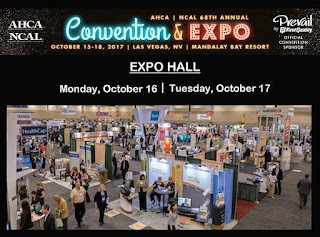 At this year’s AHCA/NCAL Expo, you’ll connect with top industry leaders, ask questions, see demonstrations, and try actual products.You're sure to take home a list of new products and solutions that will save you money and make all the difference in providing quality of care at your centers. Visit the virtual Expo Hall now and navigate your way through our exhibitors and what they have to offer. Get more details on the Expo here and make your plans to attend this year’s 68th Annual Convention & Expo in Las Vegas. Don’t wait, early bird registration ends July 12. You might be interested to know more about the Office of the Assistant Secretary for Preparedness and Response (ASPR) and their work related to cybersecurity. ASPR was created under the Pandemic and All Hazards Preparedness Act in the wake of Hurricane Katrina to lead the nation in preventing, preparing for, and responding to the adverse health effects of public health emergencies and disasters. ASPR focuses on preparedness planning and response; building federal emergency medical operational capabilities; countermeasures research, advance development, and procurement; and grants to strengthen the capabilities of hospitals and health care systems in public health emergencies and medical disasters. The office provides federal support, including medical professionals through ASPR’s National Disaster Medical System, to augment state and local capabilities during an emergency or disaster. The ASPR website has information that you might find very useful, including more on the Health Care Industry Cybersecurity Task Force. The Task Force, which was established by the Department of Health and Human Services in March 2016, released a report to Congress that incorporates input from the past year from experts inside and outside of the health care industry and the general public about improving cybersecurity. The appendix included in the report provides a quick reference of cybersecurity informational resources that may be helpful to health care organizations of all types and sizes. Senate Majority Leader Mitch McConnell (R-KY) announced Tuesday afternoon that a key vote on the chamber’s effort to reform health care will be delayed. The vote, originally planned for this week, is expected to be delayed until after the July 4th Congressional work period. The “Better Care Reconciliation Act” was released last week after weeks of deliberation on the Senate’s version of the repeal and replace legislation. Senate leaders hoped to have a final vote on the bill before week’s end and send it to the House before the July 4th work period. Multiple Senators expressed reservations with the bill prior to announcement on the delay. A group of four conservative Republicans said they did not think the bill did enough to repeal the underlying provisions in the Affordable Care Act. Sens. Dean Heller (R-NV) and Susan Collins (R-ME) expressed concerns that the bill’s cuts were too severe. The Senate bills differs significantly from the House bill on the issue of Medicaid funding for long term care services. The Senate bill changes the per-capita growth rate for the aged and disabled population and reduces provider taxes. The changes to the bill are estimated to cut federal Medicaid funding by 20 percent in 2025 and cut an average of $100,000 per building in states that use the provider tax program. AHCA/NCAL advocates are still urged to call their Senators and let them know that this bill would be harmful to the long term care profession. AHCA/NCAL has an online advocacy portal and encourages all members to continue to contact lawmakers. Register online to Join ACL to learn about the progress made in quality framework development. The HCBS Quality Framework Development webinar is the second event in ACL's HCBS quality webinar series. A goal of the series is to provide a platform among internal and external stakeholders to share developments and collaborate on efforts concerning HCBS quality. The lack of an organizing framework used to analyze measurement gaps has caused difficulties in determining where resources should be allocated for future measurement development. Discuss findings expected impact of two projects: The 2016 National Quality Forum report, Quality in Home and Community Based Services to Support Community Living: Addressing Gaps in Performance, and The SCAN Foundation publication, What Matters Most: Essential Attributes of a High-Quality System of Care for Adults with Complex Care Needs. The Centers for Medicare and Medicaid Services has revised its Survey and Certification memo on Legionella Risk Management, clarifying that the memo only applies to hospitals, critical access hospitals, and nursing homes, while noting it is useful guidance for all other healthcare providers, which would include assisted living. CMS expects Medicare certified healthcare facilities to have water management policies and procedures to reduce the risk of growth and spread of Legionella and other opportunistic pathogens in building water systems. In 2016, the Centers for Disease Control and its partners developed a toolkit to facilitate implementation of American Society of Heating, Refrigerating, and Air Conditioning Engineers Standard. The National Association of States United for Aging and Disabilities is hosting a webinar on June 28th, 2017 from 12:30 p.m. - 1:30 p.m. ET to support organizations in understand different terminologies used in managed long-term services and supports (MLTSS). Click here to register. If your state has recently changed or is considering changing its Medicaid program (including services provided in assisted living) to be offered through managed care, this webinar will help you learn more about how the use of a common language can further your efforts to develop collaborative relationships with health plans and other integrated care or service systems while continuing to further your mission. Start preparing for the biggest week of the year with the National Assisted Living Week® (NALW) Planning Guide and Product Catalog. This year’s planning guide contains creative activity ideas and spirited products to highlight this year’s theme, “Family is Forever,” which celebrates the unique bonds formed between staff and residents in America’s assisted living communities. The guide also links providers to this year’s NALW products, which can also be found in AHCA/NCAL’s online bookstore. Get in the spirit with t-shirts, balloons, posters and more. Beginning on Grandparents Day, Sept. 10 and running through Sept. 16, NALW will be celebrated in assisted living communities across the country. It’s an opportunity to thank staff members for their hard work and volunteers for their service. NALW is also a time to help the public better understand how assisted living communities play a crucial role in the larger long term care spectrum as well as the unique experiences and needs of residents. On June 20, 2017, 25 organizations, including AHCA/NCAL, submitted a comment letter to the Centers for Medicare & Medicaid Services outlining a regulatory fix relating to the observation stays matter. The organizations that signed the letter are members of a broad coalition of beneficiary and provider advocacy groups who are dedicated to preserving Medicare beneficiaries’ access to necessary skilled nursing care following a hospital stay, regardless of whether that stay was classified as inpatient or outpatient observation. Under current law, a Medicare beneficiary must spend at least three days as a hospital inpatient for Medicare to cover a subsequent stay in a skilled nursing center (known as the “SNF 3-day rule”). AHCA/NCAL continues to keep the observation stays issue one of its top advocacy and outreach priorities. Increasingly, patients have no idea what their status is in a hospital, or the importance of it, which can lead to thousands of dollars in out-of-pocket medical expenses should they need skilled nursing center care following their hospital stay. In addition to placing a financial burden on seniors and their families, this anomaly in Medicare rules can cause unnecessary spend-down, accelerating the time frame in which seniors will have to turn to programs such as Medicaid to pay for their care. For more information about the observation stays issue, please visit the AHCA/NCAL website. At AHCA/ NCAL Annual Convention & Expo, your success is our business. We have dedicated Expo Hall hours to build your professional network. Come show your innovative technology that will help provide the best quality care in the industry. Advocates are encouraged to contact their Senators and emphasize the importance of Medicaid funding for services to care for elderly and disabled Americans. AHCA/NCAL has an advocacy portal as well as online materials that make contacting Senators easy. The Senate is nearing the completion of drafting a health care reform bill that is expected to repeal large parts of the Affordable Care Act and cut Medicaid funding. 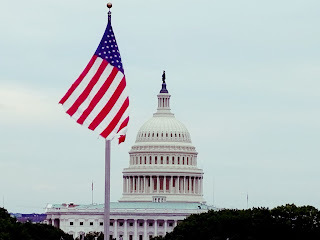 Senate Leader Mitch McConnell said earlier this week that he expects the text of the bill to be released Thursday June 22nd and would like the Senate to vote on the bill before the week of July 4th. American Health Care Act passed the House of Representatives in early May. The legislation contained provisions limiting how much money the federal government can spend on Medicaid for certain determined population groups. Individuals that receive Medicaid funding for long term care services typically need assistance with a majority of activities of daily living. Long stay patients are also more likely to have Alzheimer’s or another form of dementia. These individuals are extremely vulnerable and cannot afford to have their funding cut off. Mike Rayburn is a captivating artist with a presentation completely unlike any you’ve ever seen! 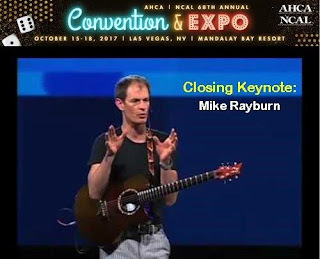 Having been called “the World’s Funniest Guitar Virtuoso,” Rayburn uses his guitar creations, songs, and veteran presentation skills to encourage, challenge and inspire his audiences to leap beyond their perceived limitations. Rayburn draws from a wealth of life experience as an adventurer, business owner, comedian, world-class guitarist, author, philanthropist, husband, and father, to deliver a presentation that is motivational, hilarious, and musically amazing! Check out all of our event keynote speakers online. The early bird registration deadline of July 21 is approaching fast, so be sure to register now and SAVE! There are 20,010 open jobs posted by direct employers this month in the nursing care facility (including SNFs), assisted living, and continuing care retirement community (CCRC) sectors this month according to the latest CEB TalentNeuron statistics. The number of open jobs posted nationwide by direct employers held relatively steady over the last three months. The CEB TalentNeuron statistics also show an estimated 2,101,000 potential candidates in the nation’s workforce whose skills likely match the qualifications being sought by long term care employers Figures show that 1,952 direct employers are competing for candidates in June – a slight decrease over May figures. The average number of days a job was posted this month is 37 – up three days over May. There are two great ways for skilled nursing center and assisted living employers to save on their job postings on the Long Term Care Career Center. First-time job posters can receive 25% off their first posting by entering promo code New25off when they check out. Employers with multiple positions to fill can purchase three job postings at one time and receive a 20% discount on the three postings by entering promo code Bundle20 at check out. Of course, the Long Term Care Career Center is always free for job seekers. And, job seekers are using the site with more than 88,000 searchable resumes on the National Healthcare Career Network this month. Job postings on the AHCA/NCAL Long Term Care Career Center network are averaging nearly 1,700 views in June. Be seen nationwide. Check out the Long Term Care Career Center today and remember to use one of the two promo codes to save on your job postings. According to a June 20, 2017, YaleNews article, “as many as one in five older Medicare patients returns to the hospital after an observation stay, or short-term outpatient stay,” a Yale-led study found. The article goes on to note that “this high rate of revisit to the hospital points to a hidden vulnerability among these patients, and suggests changes in care might be needed, the researchers said.” The study was published online June 20 in The BMJ. Last week, the Centers for Medicare & Medicaid Services (CMS) sent out an email for healthcare providers noting that the Agency is taking steps to remove Social Security numbers from Medicare cards to help prevent fraud, fight identity theft and protect essential program funding. The CMS email includes that they will issue new Medicare cards with a new unique, randomly-assigned number called a Medicare Beneficiary Identifier to replace the existing Social Security-based Health Insurance Claim Number both on the cards and in various CMS systems they use now. CMS will start mailing new cards to people with Medicare benefits in April 2018. All Medicare cards will be replaced by April 2019. More about the new Medicare cards and where providers can get further information can be found here. AHCA Infection Preventionist Specialized Training (IPCO) Now Available! AHCA is pleased to offer a new resource to help members with the recently expanded infection prevention and control requirements and the new requirement for all centers to have a designated Infection Preventionist with specialized training. The AHCA Infection Preventionist Specialized Training (IPCO) is an on-line, self-study program on ahcancalED with 23 hours of learning. The online program consists of nine modules each focusing on specific components of infection prevention and control. The course includes online lectures, case studies and interactive components taught by an array of experts from around the country. Participants will have the opportunity to receive a certificate of specialized training and 23 ANCC Contact Hours upon successfully completing AHCA's Infection Preventionist Specialized Training (IPCO) program. The training is available to both AHCA members and non-members. The registration fee is $450 for AHCA members and $650 for non-members. Payment and registration is made online in ahcancalED. To access ahcancalED, an individual needs their own user login to the AHCA website. Please contact educate@ahca.org with any questions. Visit ahcancalED today to learn more and register for AHCA Infection Preventionist Specialized Training (IPCO)! provider consolidation and the role of Medicare policy. MedPAC makes recommendations to Congress each year through multiple reports, which may or may not be acted upon. Congress is not required to act upon any of the recommendations. Please contact James Michel with any questions. Please join us for our second quarter AALNA/NCAL Caring Together Webinar: Mental Health in Assisted Living Residents, June 27th 3pm – 4pm Eastern. In this webinar, you will learn from three different professional perspectives about how nurses can impact resident mental health in assisted living. To have maximum positive impact, understanding that depression and anxiety are not a normal part of aging and what you can do to address symptoms will be the focus. Attendees will learn what signs and symptoms to look for, options for intervention and treatment, and how to support and engage the resident and AL team members in the process. To join the webinar, please sign-up here. AHCA/NCAL members are encouraged to reach out to their Senators to ensure Medicaid funding is preserved for America’s most frail and vulnerable individuals. 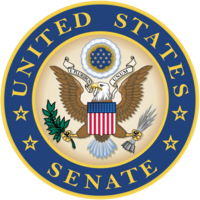 The Senate is currently working on its own version of the American Health Care Act, a bill that passed the House in early May. The bill is likely to contain provisions altering how much federal money can be spent on the Medicaid program. Advocates are encouraged to contact their Senators and emphasize the importance of Medicaid funding for elderly and disabled Americans. AHCA/NCAL has an advocacy portal, as well as online materials that make contacting Senators easy. Jim Collins is a student and teacher of leadership and what makes great companies tick. 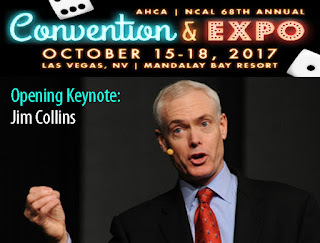 Collins, who will address attendees during the AHCA/NCAL convention Opening General Session on Monday, October 16, has written or co-written six books, including the international best-seller Good to Great and How the Mighty Fall, a New York Times best seller. His books have sold more than 10 million copies nationwide. Listen to Collins as he examines why some companies and leaders make the leap to superior results, as he explores those ideas and more. Research conducted by AHCA/NCAL last year found that the rehospitalization rates in nursing facilities with at least one RN certified in gerontological nursing by the American Nurses Credentialing Center (ANCC) consistently have run at least two percentage points lower than the national average since 2011. Lower rehospitalization rates will be key to success under the new CMS Value-Based Purchasing (VBP) program. CMS currently is tracking skilled nursing rehospitalization rates for the new SNF VBP program. Under the VBP program, claims for services furnished on or after Oct. 1, 2018, will be subject to a 2 percent withhold. Providers will have the opportunity to get some or all of this money back depending on how well they do in managing hospital readmissions, and meeting or exceeding performance standards. SNFs will be rated on achievement against all other facilities nationally. SNFS will also be rated on their own improvement, comparing their rate during 2017 with their previous performance during 2015. CMS plans to use this metric to determine reimbursement rates in coming fiscal years. Skilled nursing centers are encouraged to be proactive in reducing their rehospitalization rates by examining ANCC certification for their RN leaders. Watch this video to learn more about AHCA/NCAL Gero Nurse Prep or click on the course preview to get a quick view of this engaging on-line curriculum designed to help RNs pass the ANCC exam. Secure your future for success under the new VBP program. Check out AHCA/NCAL Gero Nurse Prep today. AHCA/NCAL would like to remind members to take advantage of their special discount of 10% off any and all CARES® online dementia training program packages by using discount code AHCA10. These programs support our goal of reducing the off-label use of antipsychotics and are recommended by CMS. CARES® is non-pharmaceutical based training that incorporates person-centered care strategies— including HCI’s trademarked CARES® Approach—throughout all of its CARES® programs. In addition, individuals can become certified in Alzheimer’s Association® essentiALZ® or essentiALZ Plus after completing CARES® programs and passing certification exams. Check out CARES® online dementia training programs today and don’t forget to enter discount code AHCA10 to receive 10% savings on all orders. On Thursday, July 13th, from 2:00 – 3:00 PM EST, AHCA, with guest speaker J. David Weidner, MPH, REHS, MEP, CEM, Director of Emergency Management from the Health Care Association of New Jersey, will hold a webinar on the new emergency preparedness final rule impacting Skilled Nursing Facilities, Nursing Facilities and Intermediate Care Facilities for Individuals with Intellectual Disabilities. This final rule is not applicable to Assisted Living Providers. The webinar will include an overview of the training and testing requirements, by addressing what are full-scale and table top exercises, how to find gaps in your plans, and organizing training for all staff members. Providers will need to be in compliance by November 2017. This is the third webinar in the four-part webinar series AHCA will hold this year on the emergency preparedness rule. In March 2017, the Office of Management and Budget (OMB) approved the Advance Beneficiary Notice (ABN) (Form CMS-R-131) for another 3 years. The only change to the current form is the new March 2020 expiration date. Starting June 21, 2017, providers are required to use the new form, but they also can begin using it immediately. As background, the ABN - Form CMS-R-131 - is issued by providers (including independent laboratories, home health agencies, and hospices), physicians, practitioners, and suppliers to original Medicare (fee for service) beneficiaries in situations where Medicare payment is expected to be denied. Skilled Nursing Facilities must use the ABN for items/services expected to be denied only under Medicare Part B. To obtain more information, including the new form, go to the FFS ABN webpage. More information about the grant programs can be found here. Administrators, directors, nurses, and other long term care staff interested in quality dementia care are encouraged to register for a facilitated intensive training session led by national CARES® expert, Debbie Richman, to learn how to implement the CMS- and AHCA/NCAL-recommended CARES® online training program within your organization. At the end of the training session, attendees will be eligible for individual Alzheimer’s Association essentiALZ® certification. This session is a great way to help skilled nursing centers develop dementia specific educational programs that can help demonstrate staff competency in quality dementia care as part of the new staff competency assessments that will be required under Phase II of the CMS Requirements of Participation taking effect this November. Specialized training will be one way surveyors will determine if staff have the competencies necessary to deliver quality and individualized care. The Emergency Preparedness Final Rule was released on Friday, September 16, 2016. Members impacted by the rule include SNFs, Nursing Facilities and ICF/IIDs. This final rule is not applicable to Assisted Living Providers. On June 2, 2017, CMS released the Emergency Preparedness Interpretive Guidance (IG). AHCA members are encouraged to look through the IG. Providers will need to comply with the final rule by November 2017. AHCA is in the process of reviewing the IG now, and will send a more detailed summary out in the near future of it. Finally, you might be interested to know that AHCA has an Emergency Preparedness Final Rule Webinar Series that can be found here. Mood Media offers great musical variety for events or casual common area listening via the internet or streaming, and offers customized commercial free music options that allow facilities to tailor musical selections to meet changing resident preferences. Mood customers enjoy freedom from music licensing worries on Mood Media’s huge collection of music selections played on Mood Media’s portable devices. The AHCA/NCAL Long Term Care Career Center, helps members fill their health care job vacancies. Rates for posting job vacancies are affordable and give prospective employers far greater exposure than local ads and job boards by connecting to a network of more than 330 national and state health care organizations and societies. Be smart and targeted in your search for qualified and talented health care professionals. Check out the LTC Career Center today and take advantage of great savings by using either the New25off promo code to save 25% on your first job posting or the Bundle20 promo code to save on a package of three job postings. Over 450 AHCA/NCAL members traveled to Washington, D.C. this week for the association’s annual Congressional Briefing event. It was the largest turnout for the conference to date at a time when health care policy is at the top of the political agenda. Attendees heard from multiple expert speakers, received a briefing on the top issues facing long term and post-acute care providers, and then traveled to Capitol Hill to bring their message to lawmakers. 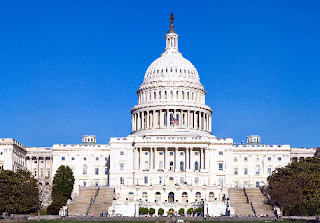 AHCA/NCAL members educated Members of Congress on in increasing quality in the profession, the importance of Medicaid in funding on term care, and the increasing regulatory burden of recent changes from the Centers for Medicare and Medicaid Services (CMS). Prior to going to Capitol Hill, attendees heard from FOX News Channel's chief political anchor, Bret Baier; Ranking Member of the House Ways and Means Committee, Rep. Richard Neal (D-Mass. ); and Sen. John Hoeven. In addition to the Hill visits and speakers, AHCA/NCAL also awarded Dirk Anjewierden, Executive Director of the Utah Health Care Association, and Greg Elliot, Vice President and Owner of American Medical Facilities Management, the Joe Warner Patient Advocacy award for their outstanding efforts on behalf of the profession and the people they serve. The next Congressional Briefing will be June 4-5, 2018 at the Hyatt Regency in Washington, D.C. 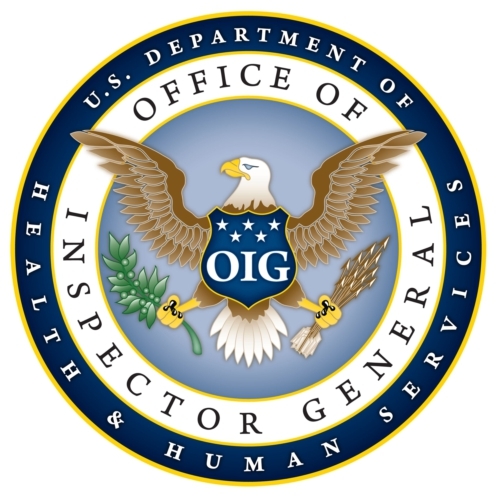 The Department of Health (HHS), Office of Inspector General (OIG) has released its Semiannual Report to Congress, October 1, 2016-March 31, 2017, describes OIG’s work in identifying significant problems, abuses, deficiencies, remedies and investigative outcomes relating to the administration of HHS programs and operations. The report specifically focuses on the OIG’s efforts to enhance safety and quality of care, improve efficiency of program operations, reduce improper payments, foster prudent payment policies, improve data integrity and information security and fight fraud. To obtain a copy of the complete report go to https://oig.hhs.gov/reports-and-publications/archives/semiannual/2017/sar-spring-2017.pdf. National Assisted Living Week Programming nominations - Must have essay, calendar, and pictures. 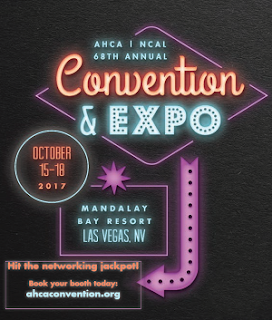 Recipients (and one guest) receive a trip to AHCA/NCAL’s 68th Annual Convention & Expo in Las Vegas, October 15-18, 2017. Each will be honored in front of their peers during NCAL Day and the Closing General Session of the Convention. For more information and to submit a nomination, please visit www.ncal.org/awards. Completed nominations must be submitted no later than Friday, June 9, 2017. Help recognize those that demonstrate outstanding service! If not for Medicaid, Chuck would not be able to see his wife Cathy every day in the assisted living community where they both live. Released during Congressional Briefing, the new video from NCAL is meant to emphasize the impact of potential cuts to Medicaid on the elderly population. Husband and wife Chuck and Cathy Schwarz are assisted living residents of Heritage Woods of South Elgin, a Gardant community, in Illinois. Cathy suffers from Alzheimer’s disease and lives in the community’s secure memory care unit. The Medicaid program allows the two to receive the assisted living care they need while still being able to see each other every day. Advocates are encouraged to send the video to their members of Congress to beat the drum to protect Medicaid. Providers, residents and families can send their members of Congress a message through AHCA/NCAL’s grassroots system: http://bit.ly/saveMedicaid. 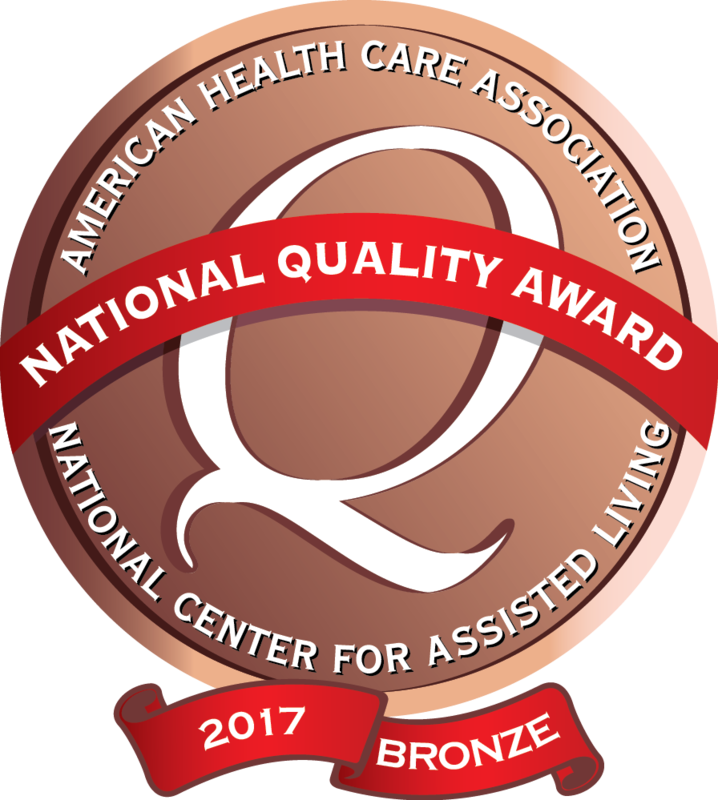 On Thursday, 520 long term and post-acute care providers in 46 states were recognized with a 2017 Bronze - Commitment to Quality Award by the American Health Care Association and National Center for Assisted Living (AHCA/NCAL). 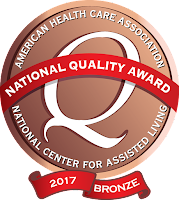 The award is the first of three distinctions possible through the AHCA/NCAL National Quality Award Program, which honors long term and post-acute care providers that have demonstrated their commitment to improving the quality of care for seniors and persons with disabilities. Implemented by AHCA/NCAL in 1996, the National Quality Award Program is centered on the core values and criteria of the Baldrige Performance Excellence Program, which is also the foundation of the metric-based AHCA/NCAL Quality Initiative. The Baldrige program helps organizations in different business sectors improve and achieve performance excellence. The award program has three levels: Bronze, Silver, and Gold. Providers begin the quality improvement process at the Bronze level, where they develop an organizational profile with fundamental performance elements such as vision and mission statements and key strengths and challenges. Bronze applicants must also demonstrate their ability to implement a performance improvement system. Trained Examiners review each application to determine if the center has met the demands of the criteria. Recipients may now move forward in developing approaches and achieving performance levels that meet the criteria required for the Silver - Achievement in Quality Award. A full list of the recipients is available on the AHCA/NCAL Quality Awards website here. The Association will announce the 2017 Silver - Achievement in Quality and Gold – Excellence in Quality Award recipients in the coming months. The National Quality Award Program is sponsored by AHCA/NCAL Associate Business Members: First Quality, National Research Corporation, and Team TSI Corporation. The awards will be presented during AHCA/NCAL’s 68th Annual Convention and Exposition in Las Vegas, Nevada, October 15-18, 2017.